Some of my earliest memories are of spending hours in the library. My parents owned a business that stayed open until 5 or 6 p.m., so the library was my after-school babysitter. But it wasn’t until a high school teacher accused me of plagiarism (because my vocabulary was too big, apparently) that I thought maybe I had a knack for words. Which is too bad, in some ways. If I’d stayed on my premed track, I’d be making a lot more money! My writing is conversational. Sturdy, but not particularly poetic. I think my training as a journalist clashed somewhere with my natural Southern storytelling tendencies and my writing voice came out somewhere in between. I tend to end up putting humor in everything I write, whether I mean to or not. I do. 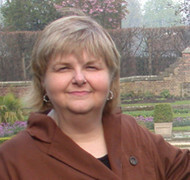 In addition to writing paranormal romance as Susannah Sandlin, I also write an urban fantasy series as Suzanne Johnson. These genres are “kissing cousins” and have a lot in common, but they’re very, very different to write. I was surprised at how different. It would be impossible for me to pick—I love writing both. My urban fantasy has some romance in it, and my paranormal romance has a strong external story arc. So in some ways, I have the best of both worlds. I keep eyeing paranormal historicals and, who knows, I might try my hand at that one of these days. I come up with the title first and so far, I haven’t changed a title. 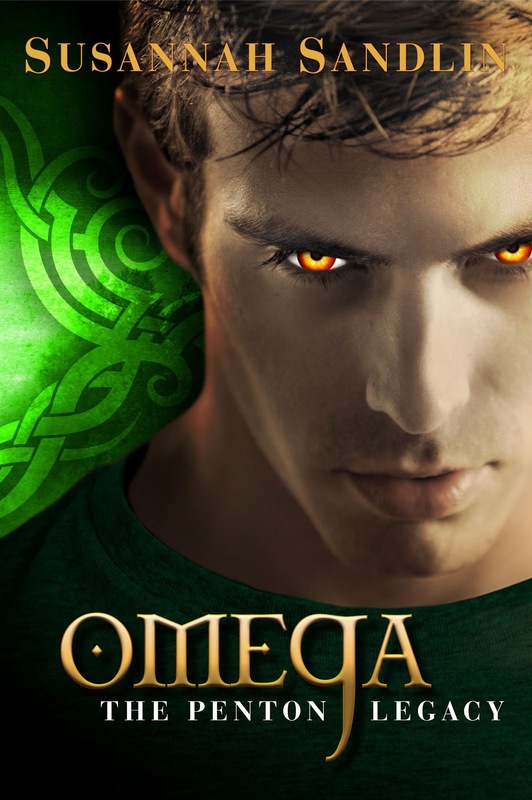 My BFF and alpha reader (the only one who gets to read first drafts) tried to get me to change the title of Omega so that it would sound more “biblical” like the other books in this series (Redemption and Absolution), but I stuck with Omega because it has such meaning for the book. The characters are living in a place called Omega, and the climax of the book is their endgame—their Omega—where all that’s been building through the first two books comes to a head and everything is on the line. Stephen King, for character and suspense; Rick Bragg, who writes these brilliant Southern memoirs, for voice; Susan Howatch, for the big, sweeping vista of story arc; Jim Butcher, for blending humor with drama. That’s a really warped, um, I mean eclectic mix, now that I see them lined up together! I just finished the new Kim Harrison Hollows book, Ever After. Holy cannoli, Batman. My jaw was hanging open through the last quarter of the book, in a good way. Next up, I have five books to read as a judge for the Romance Writers of America RITA contest, so I can’t say what those are except, OMG, they are not in categories I normally read. Which is probably a good thing because I can be completely objective. I will be trying something new, which is publishing a serial novel that’s a paranormal romance-thriller similar to the Penton books (only no vampires). It will be produced in digital “episodes” that come out every two weeks beginning in March and running through early July. Once all the episodes are released, then it will be available as a regular book in print, digital and audio. It’s a different writing process, a different way of looking at a novel, and I’m having fun with the process. Not so much in the writing itself as in my schedule. It’s hard to find a balance between the full-time day job, the book promotion/marketing, and the actual writing. Sometimes it feels as if the writing ends up with the short end of the pencil. Not really. I have moved around a lot with my day-job career, so I’ve lived in Alabama (several places), Chicago and downstate Illinois, Houston, San Diego, and New Orleans. I have a lot of places I know pretty well. The Penton series is set in Alabama, my urban fantasy series is set in New Orleans, where I still visit frequently, and the upcoming serial will be set in Houston and western Louisiana. Plus, these days, the Internet has made armchair research easy. 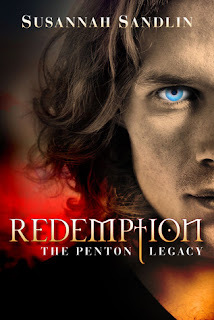 Susannah Sandlin’s REDEMPTION is the first in the Penton Legacy series. Book two, ABSOLUTION, will be out September 18, and book three, OMEGA, on December 18. Valentine's Day is almost here (it's Thursday, February 14, for the forgetful). Celebrate the holiday with the gift of a great book for the people who matter most in your life. The Penton Legacy series; Redemption, Absolution and Omega are great gifts. Better than chocolate! 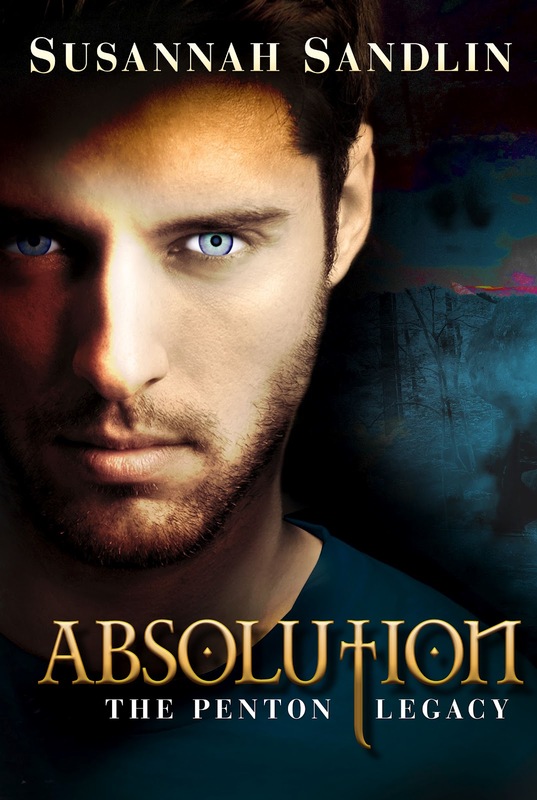 More than just a special friend, buy Redemption and Absolution. The love of your life, buy Redemption, Absolution and Omega. I am a big fan of the Penton Legacy series. Recommend it whenever I can. A new serial novel, wonderful news. I really enjoyed this guest post and learning about a new series, different process to be made yes but i still more than interested ^^. Paranormal romance with suspense i love that!!! Are we going to get some more info before march? Yes, I'll have more on the serial novel in the next week or two. I have a little bit on my website today, but some of the details are still being worked out. I'll have all the scoop by the end of the Omega tour! Thanks for introducing me to more paranormal books. TWO DAYS AND COUNTING!!!! OMEGA WILL BE HERE SOON!! HOW EXCITING IS THAT? AND THEN A GREAT GIVEAWAY!!! THANK YOU SUSANNAH!!! YOU ARE GREAT! Thanks, everyone! Yep, Teresa, two days and counting. Omega is almost here! Absolutely looking forward to Omega and the serial! Great interview.Looking forward to reading this book. How long do you get to read the book you're judging? Great interview! It's fun hearing about your process, Susannah. Maybe one day before too long you can quit the day job. Just saying... Can't wait to read Omega! Oops. The computer did something funky when I put my comment in. I'm not anonymous, though maybe a little computer clueless. Very excited to hear about your next project and another possible book in this series. I loved the interview. I still need to read the Hollows books but haven't had the time.